Born and raised in Pennsylvania, Jenn comes to Thaden from Harvard College where she was a senior admissions officer for ten years, while also serving as a resident advisor for freshmen. Prior to joining the admissions office at Harvard, she taught biology and other science courses for middle and high students at an international school in China. 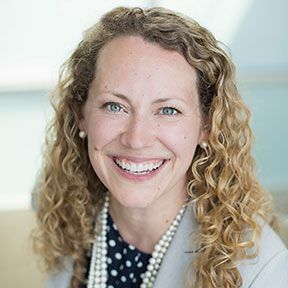 Jenn holds a bachelor’s degree in biology and a master’s degree in education policy and management, both from Harvard. In her free time, Jenn enjoys practicing her Mandarin language skills and exploring Northwest Arkansas with her husband, Dave, and their three children, Sam, Lincoln and Maisy.